ECOMM CURRENT OPENINGS: Urgent Opening for Back Office Executive in Dalhousie. 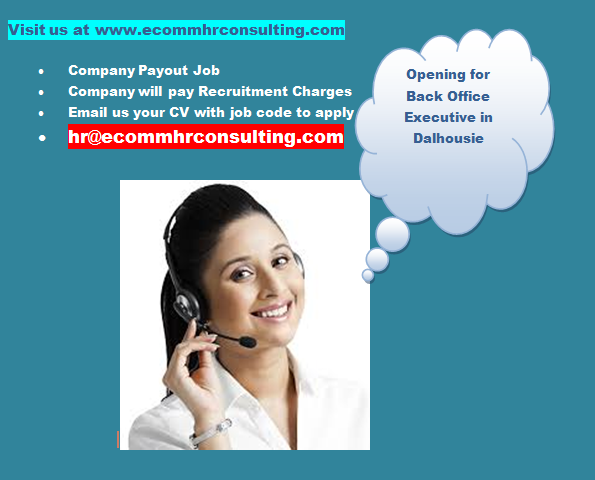 Urgent Opening for Back Office Executive in Dalhousie. SALARY IN HAND - RS. 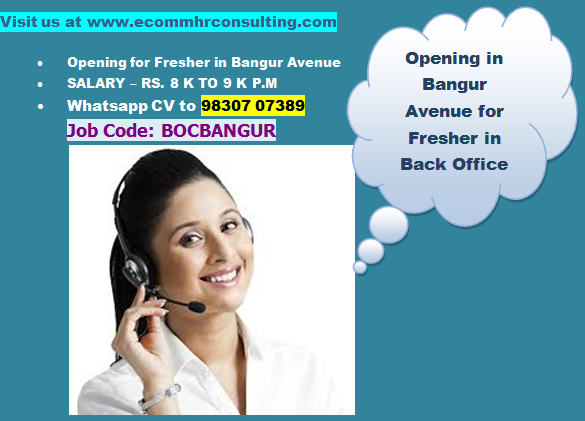 10000/- TO 16000/- P.M.
Age in between 22 years to 30 years. Should be skilled in MS WORD, EXCEL [Commonly Used Functions (Formulas. To apply please come to the office and meet us for the fist round of interview with your CV and photograph. Please note: It is Mandatory for us to meet the applicant before arranging them for an interview in our clients office. The interview will not be arranged if you do not comply.